A Phase II clinical study conducted in three centers in Bolivia under the coordination of the Medications for Neglected Diseases (DNDi) initiative demonstrated that a treatment lasting only two weeks for adults with chronic Chagas’ disease has similar efficacy and lower side effects than the standard treatment, which lasts eight weeks. The unprecedented results open a new perspective for the treatment of the disease, which affects six million people in the world and approximately 2 million Brazilians. Initiated in 2016, this was the first placebo-controlled study in history to test various durations and dosages of benznidazole treatment, both as monotherapy and in combination with fosravuconazole. Benzonidazole has been used since the 80’s, but there is resistance among healthcare professionals to indicate treatment in the chronic phase of the disease because the drug can cause significant side effects. Dr. Sergio Sosa Estani, director of the Chagas Clinical Program at Drugs for Neglected Diseases Initiative – DNDi, emphasizes that these results renew the hopes for people living with this silent disease and can transform the reality of access to treatment in countries where the disease is endemic, without the compromising the effectiveness and improving of the patient’s general state. Still according to him, the main objective of this study is to extend the treatment to a larger part of the population and prevent the affected persons from having associated complications. One of the major challenges of the disease, which represents one of the four major causes of deaths due to infectious and parasitic diseases in Brazil, is adherence to the standard treatment and its toxicity: on average, two out of ten patients who followed standard treatment duration with benznidazole discontinued treatment due to side effects. The dropout rate with the new treatment dropped from 20% to less than 3% of the cases. 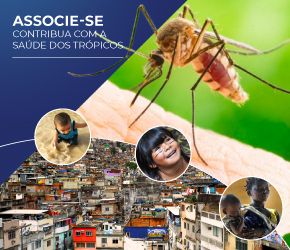 Public Health Researcher of the Evandro Chagas Institute (SVS-MS), Dra. Ana Yecê das Neves Pinto, said it has past the time to seek effective solutions for the medical treatment of this secular disease in countries where it is a problem. “On the other hand, it is understood that for Chagas disease, to test therapeutic schemes either with new drugs or with existing drugs has been a burden due to the need to evaluate the patients for long periods of time, besides the lack of an ideal tool to access the response patterns that are evidence of sustained healing”, he points out. 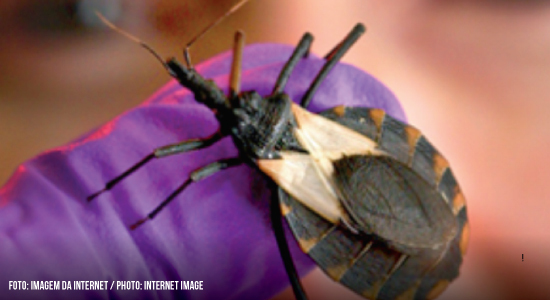 To Dr. Alejandro Luquetti Ostermayer, from the Chagas Disease Research Laboratory at the Federal University of Goiás (UFG), this is a well-conducted study in an attempt to reduce the time of administration of benznidazole and thereby reduce the likelihood of adverse side effects. He explains that the highest frequency of adverse reactions is skin lesions (hypersensitivity), which usually appears within 15 days, although most are mild in intensity and do not lead to discontinuation of the treatment. “It is noteworthy that in the group of approximately 30 patients (the work does not specify the number allocated to each group), none of them had a more intense hypersensitivity. The greater advantage of this therapeutic scheme will be to avoid the rarer reactions of polyneuritis, observable at the end of treatment, around the 7th to 8th week and more difficult to manage”, he says. Dr. Ana Yecê considers this to be an excellent methodological design of a parasitic cure outcome, measured by molecular method, although she believes that it will certainly be criticized for being carried out in a limited time of 12 months. “Despite this, the design brings, therefore, a new light on clinical trial design, setting the precedent for similar designs or, speaking in law ‘jurisprudence’, so necessary to the methodologies of clinical trials for testing of effective drugs for Chagas disease”, he says, arguing that this is undoubtedly the greatest contribution of the study, apart from the excellent response shown in the reading of the briefing. 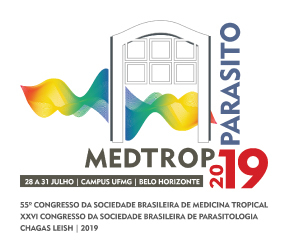 “As a clinical researcher on long-term on Chagas disease for a long time, I am very anxious to read the full work and hope to see, in sequence, other trials being held in Brazil as well, following this methodological model that will certainly be a reference” she ends. Dr. Luquetti asks if this therapeutic scheme will have the same success as the traditional 60-day treatment. According to him, intracellular parasites need long-lasting treatments (ex. leprosy, tuberculosis) to eradicate the microorganisms. “The evaluation carried out by PCR has a relative value, since the drug is very effective in temporarily suppressing parasitemia, and it is common to observe the decrease of the circulating parasites for many months and even years, without being able to eradicate it, only definitively achieved when the immune response no longer recognizes it. Other trials of dose reduction, administered for a long time, are in course, also with promising results. We know for a fact that the therapeutic response is individual and there are cases of very susceptible patients, who with shorter doses or treatment time are able to achieve the desired serological rejection”, he said. However, the researcher recognizes that any alternative to the two available effective drugs, and that are effective and offer less adverse reactions, is welcome against this neglected infection. Although promising, the results of the study still need to be confirmed by other studies. “DNDi will continue to work with national programs, partners and ministries of health in endemic countries to confirm the results and encourage them to take the necessary steps to register the new regime and transform the treatment paradigm and change the reality of these people affected by the disease”, notes Dr. Sergio Sosa Estani.